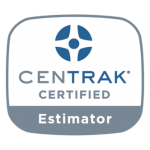 CenTrak’s Enterprise Location Services are engineered to deliver the most accurate location and condition data. CenTrak offers an advanced open platform, enabling easy integration with major healthcare solutions including Nurse Call, Electronic Medical Records, Capacity Management, Bed Management, Asset Management, Computerized Maintenance Management and Hand Hygiene Compliance. CenTrak’s mission is to bring high quality real-time location systems to healthcare. A channel-centric sales model allows for deep collaboration with partners yielding a cost effective, future-proof technology investment. CenTrak provides healthcare leaders with big data which can be used to make well-informed decisions for their patients, staff and bottom line. Through robust training, marketing, certification and technical support programs, CenTrak partners deliver proven solutions and valued healthcare expertise. Success Management — Account Managers help partners identify high-value use case targets, document ROI and ensure customer satisfaction. Technical Support — Industry leading Technical Assistance Center offering 24/7/365 support for mission-critical solutions. Advanced Integrations — Software Development Kit and support for new integrations and access to over 100 certified solutions via the CenTrak Connect™ platform. Implementation Support — Deployment support as needed for key implementation phases including project management, design, site survey, configuration, testing & certification and go-live. Certifications — Formal certification and training programs enable Systems Integrators and Solution Providers to provide turnkey deployment, system support and device management expertise. The CenTrak Partner Program offers you the solutions, training, tools and support to deliver greater value to your customers. Our partners will also receive the benefits of an end-to-end co-marketing program, as well as strategic sales & technical engagement. CenTrak’s Educational Services holds training courses for partners through its Certification Programs. These training courses are focused around our three product lines: Location Services, Environmental Monitoring and Security Solutions. All CenTrak training programs require the attendees to pass an exam at the conclusion of their program. 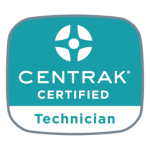 This specialized technical training material offered by CenTrak’s Educational Services will help to ensure users of the CenTrak system are kept up-to-date with the technology and services offered. – including Location Services, Environmental Monitoring as well as Safety & Security.